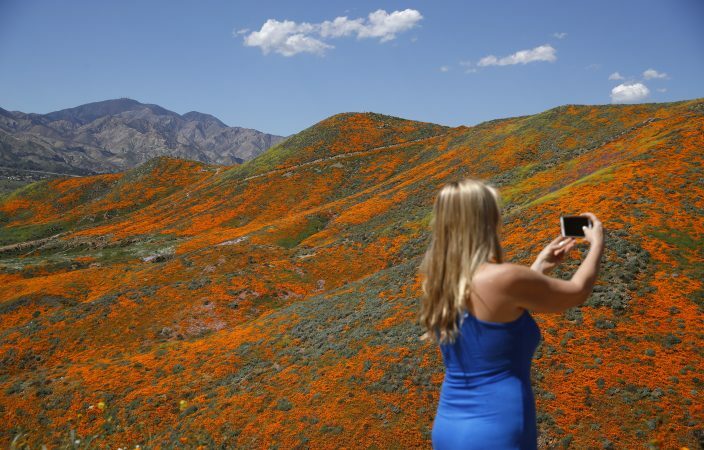 Like Dorothy in the "Wizard of Oz," the Southern California city of Lake Elsinore is being overwhelmed by the power of the poppies. 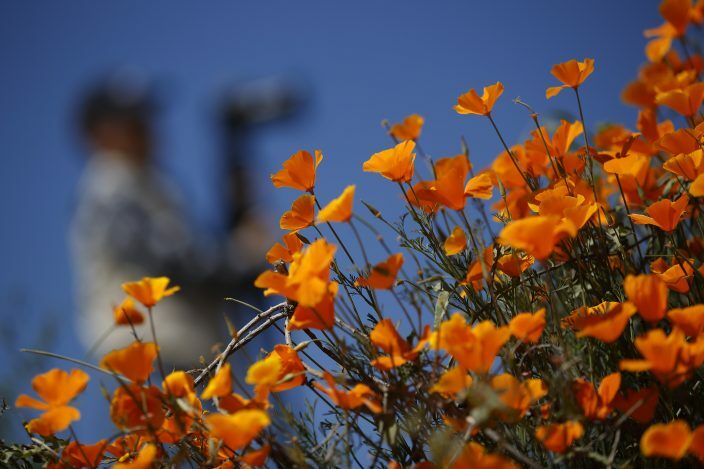 The lure of poppies was used in the "Wizard of Oz" when the wicked witch infuses them with poison knowing Dorothy cannot resist them. 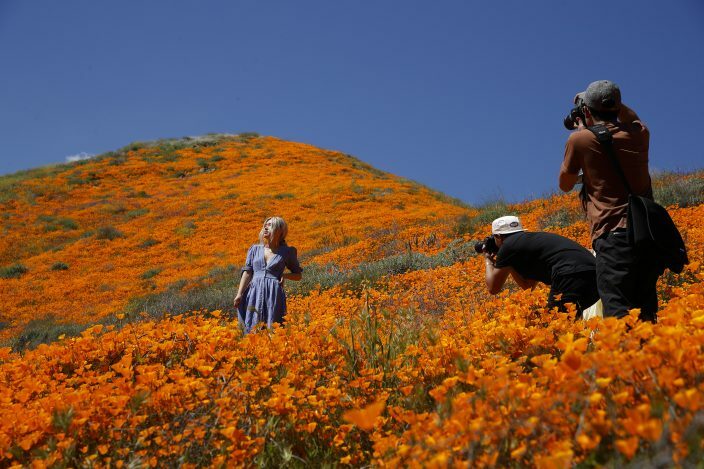 She falls asleep in a vibrant field and the good witch casts a spell to make it snow to break the spell after her friends fail at trying to carry her out of the fields on their way to Oz. 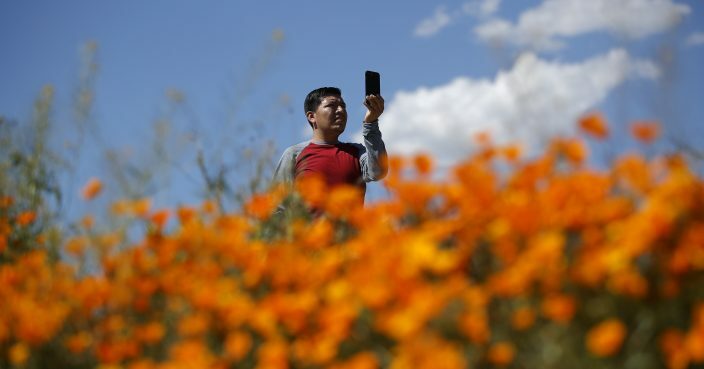 "There were lots of disrespectful tourists flying drones, letting their dogs off leash, taking photos in the fields, stomping on flowers to get on top of a rock for a selfie," said Kim, 24, of Carlsbad. "Looking at all these people, I realized this is not sustainable. This bubble is going to burst and it's going to get taken away because people are taking advantage. Four hours later I looked at Facebook and saw it was closed." 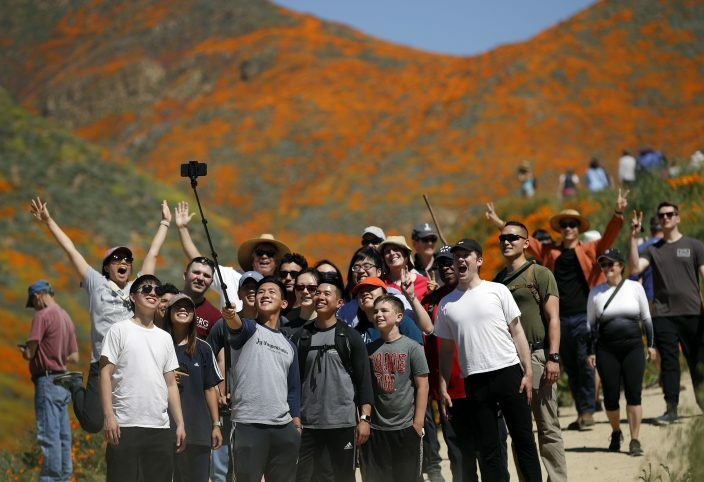 "You see this beautiful pristine photo of nature but then you look to the left and there's plastic Starbucks cups and water bottles on the trail and selfie sticks and people having road rage because some people were walking slower," he said. The crowds are back. Hotels are full. 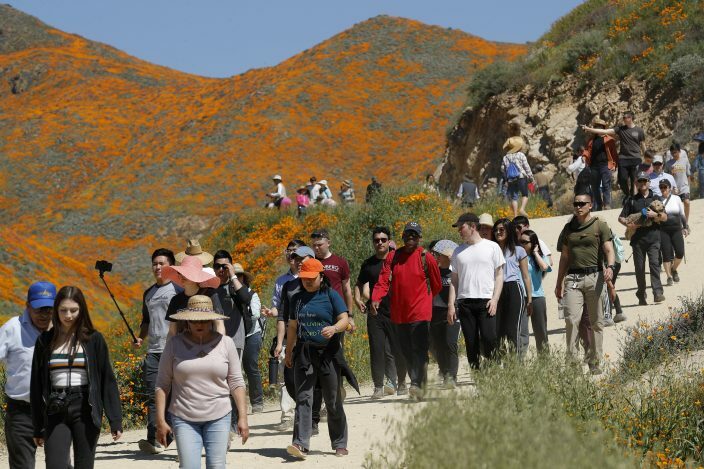 More than 6,000 people on a recent Saturday stopped at the visitor's center at the Anza-Borrego Desert State Park, California's largest park with 640,000 acres (1,000 square miles). 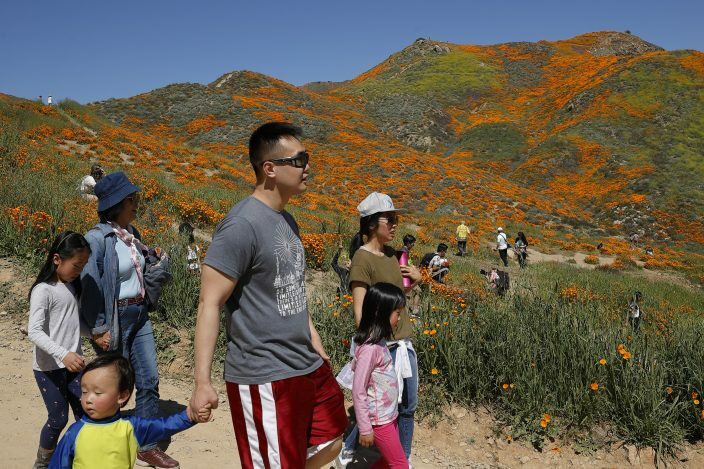 Corrects description of poppy scene in "Wizard of Oz" to show Dorothy saved by good witch after friends failed to carry her out of fields.